THOMAS YOUNGBLOOD | The Official Website | Silverthorn out now! First date of European Tour 2015 confirmed! We are very pleased to confirm the first date of the upcoming European Tour 2015: October 16th, 2015 in Tilburg, The Netherlands at Poppodium 013. Get your tickets now! Special Guests for London Show confirmed! 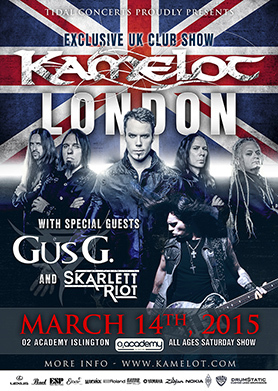 We are pleased to announce special guest Gus G and openers Skarlett Riot for Kamelot’s exclusive show in London, United Kingdom. 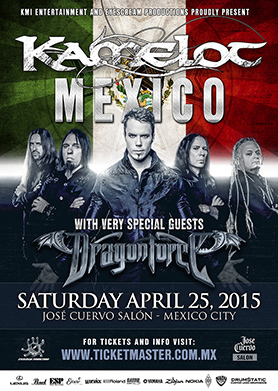 KAMELOT “NORTH AMERICAN TOUR 2015″ ANNOUNCED! 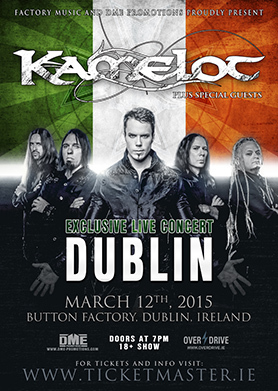 We are pleased to announce we are returning to North America in 2015, in support of the new Kamelot album due for release Spring 2015! The band is busy in the studio now and cannot wait to return to the USA and Canada for their biggest North American stage setup ever. Special guests on this tour will be DragonForce from the UK. This is will be a Symphonic Power Metal Extravaganza! Presales available now on the TOUR section. See you in April/May 2015!! “Falling Like The Fahrenheit” video! While the band is busy working on the new album, we decided to release “Falling Like The Fahrenheit” video from one of the concerts on the recent tour. Enjoy! Symphonic metallers KAMELOT recently completed work on the third video from their critically acclaimed 2012 Steamhammer/SPV release “Silverthorn”. The video was directed by Ville Lipiainen(Nigthwish, HIM, Apocalyptica) and filmed at the band’s sold out appearance at the famed 013 venue in Tilburg, Holland. The band is currently in the studio working on the followup to “Silverthorn”. A massive World Tour will follow starting in early 2015. Very pleased to add Roland U.S. to our list of great supporters!! More pics and reviews will follow. Due to popular demand we have produced a limited quantity of T-shirts of Kamelot’s masterpiece album “The Black Halo”, available at JSR. Shipping worldwide! Haarlem Show is SOLD OUT! 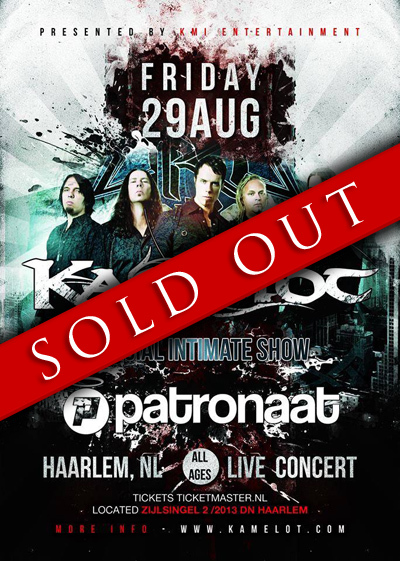 Kamelot’s exclusive concert in Haarlem, The Netherlands is now SOLD OUT, thanks! We are looking forward to meeting you there for a truly special event. This will be a night to remember! 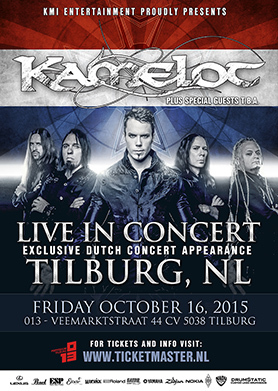 See you soon Kamelot Nation! Attention UK, we’re coming back!! 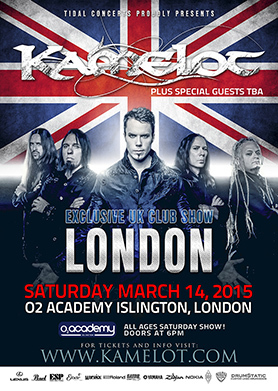 We are glad to announce that Kamelot will be one of the headliners for the HammerFest VII Festival in UK on March 12-15th, 2015. Back from Sweden and Norway! Thanks to all the fans at Sweden Rock Festival! We had such a great time! Also big thanks to the fans in Trondheim for the packed concert on Saturday, we will be back soon!! Click and subscribe to KamTV!